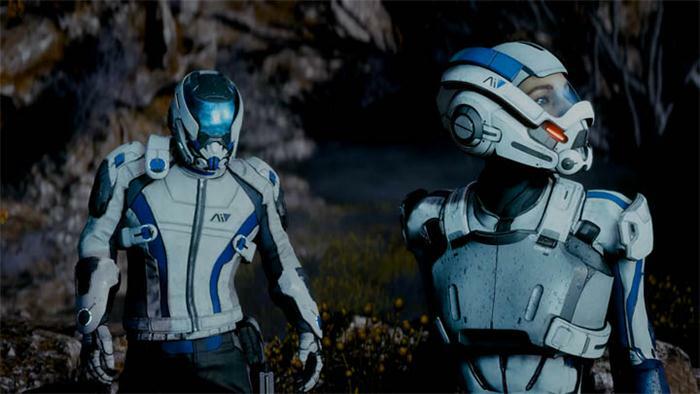 Bioware have developed Mass Effect Andromeda with the familiar planet scanning feature that allows players to discover new minerals, resources and tech that plays a big part in the games new crafting system. Crafting is the process of taking several individual components (parts, items) and merging them together to create either completely new items or improving existing gear. Scanning is the process of discoverability whilst mining is the actual extraction of minerals and resources. Mining will provide you with the raw resources for certain crafting recipes whilst scanning is far more important for uncovering rare resources, some of which can only be found on certain planets and districts. The more you scan the better your chances of adding to the Codex and uncovering new crafting pieces. Upon arriving at a new planet it is recommended that you actively seek out Drop Zones. These areas are designed as forward bases that act as fast travel points and offer the ability to change loadouts. Using the Nomad tech you can scan for points of interest on the landscape, but don't restrict yourself to just these zones as the Nomad can sneak off the beaten path to discover hidden items as well. In some of the older Mass Effect games, the mining process was rather tedious and in some cases required you to hold down a particular button whilst the the mining operation took place. Thankfully in Andromeda, mining is more of an autonomous process which although does require to you launch mining drones to do the dirty work, it does not ask you to sit and watch the drones to gather the resources you need. There are seven classes in the Andromeda base game, each of which has a unique set of traits and technology at its disposal. Crafting new weapons, armour and other gear will help you take on some of the games tougher challenges such as planet super bosses that you frequently encounter on your scouting missions. Building up a greater arsenal is part and parcel of the RPG nature of the Andromeda game and you'll enjoy creating some of the games unique weapons and trying them out in combat against the Kett adversary and other deadly planetary beasts. Once I have more information on the games crafting system I shall update this page with more information and important links to help you understand how crafting works, which ingredients are required for particular unlocks and of course an overall list of craftable items.